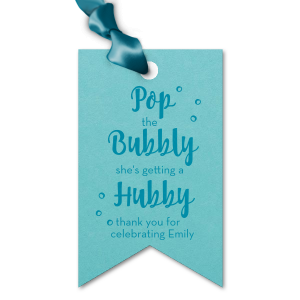 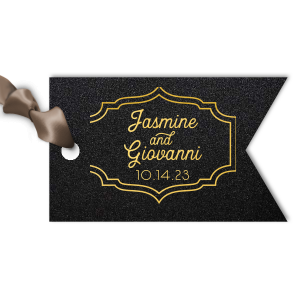 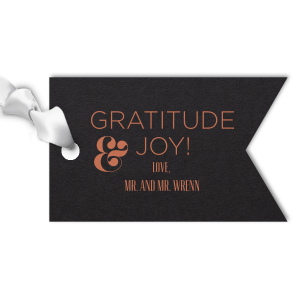 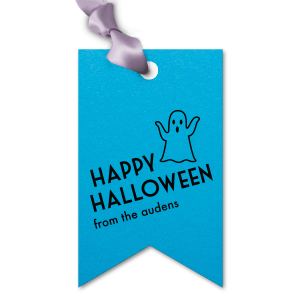 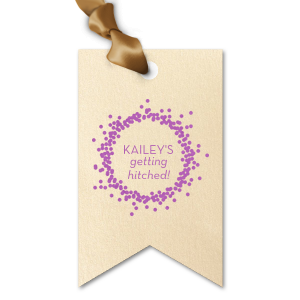 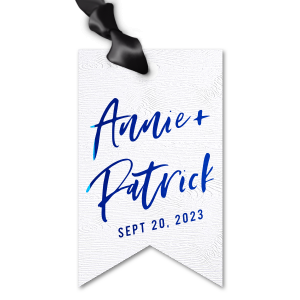 Design your own beautiful double point gift tags to add a one-of-a-kind touch to your favors or gifts. 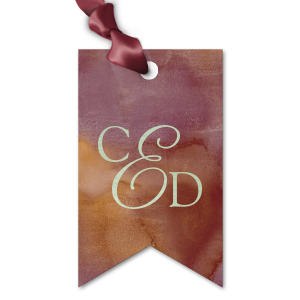 Just use our customization tool directly below and to the left. 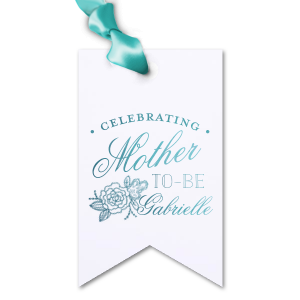 Or put your own message on one of our over 20 professional designs below. 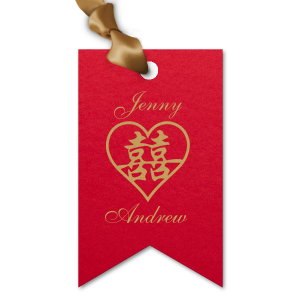 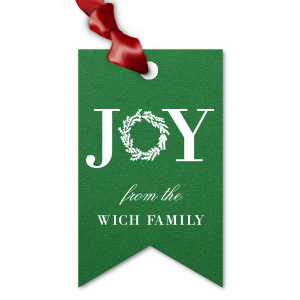 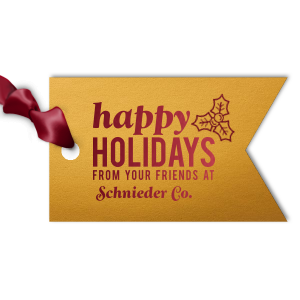 Either way, personalized gift tags lend gift-giving a touch of elegance. 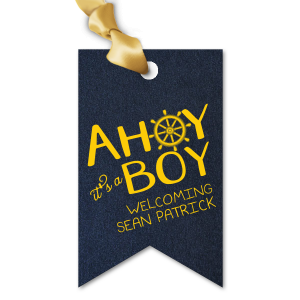 If you choose to design your own custom gift tags, get as creative as you want: choose between print type options (FoilStamp or embossed), over 90 tag colors (from classy linens to flashy neons), and tons of fonts. 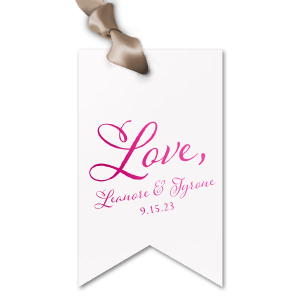 Even upload your own image!